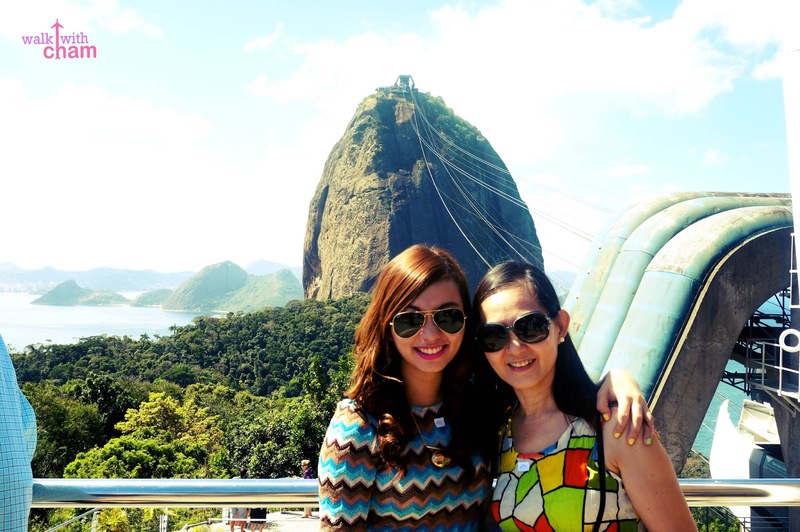 Sugarloaf Mountain or Pao de Acucar is a peak of a mountain located at the Mount of Guanabara Bay. 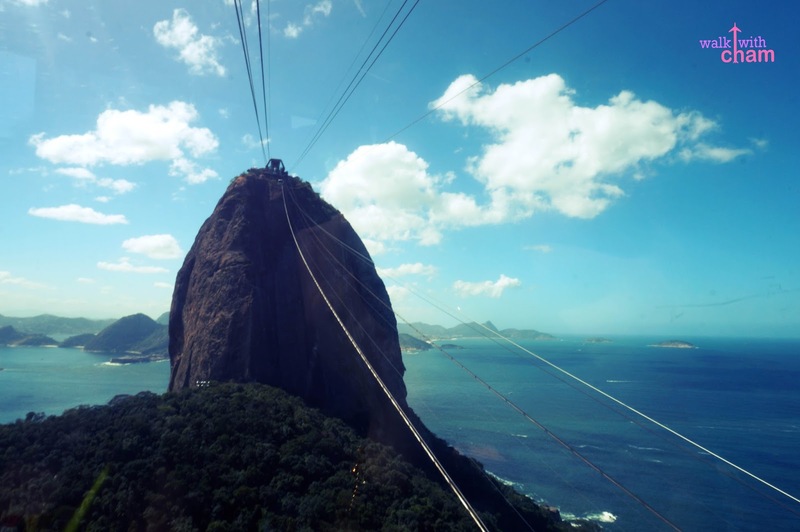 The name is said to refer to its resemblance to the traditional shape of concentrated refined loaf sugar. 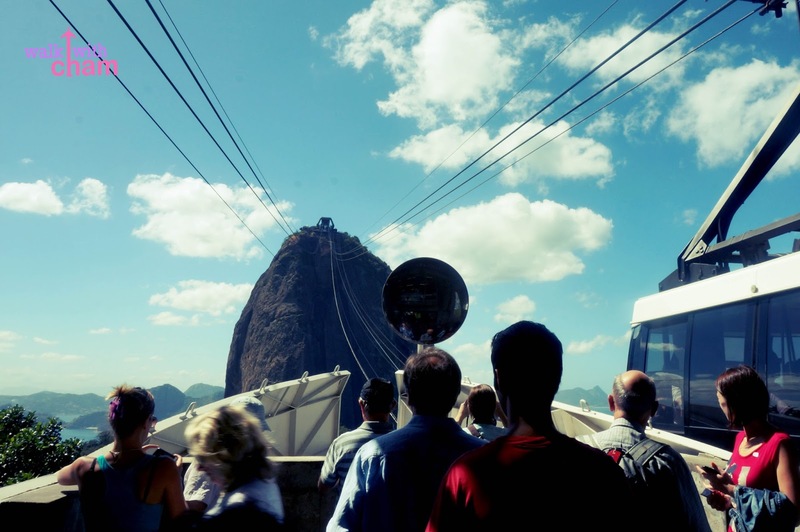 Sugarloaf Mountain is one of the top tourist attractions in Rio de Janeiro that are sprawled by tourists from different parts of the world. 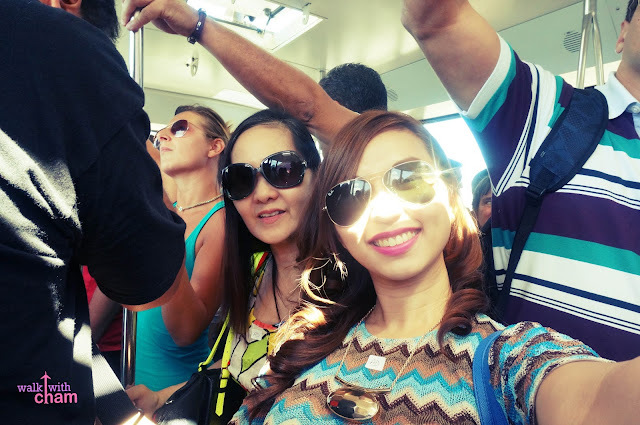 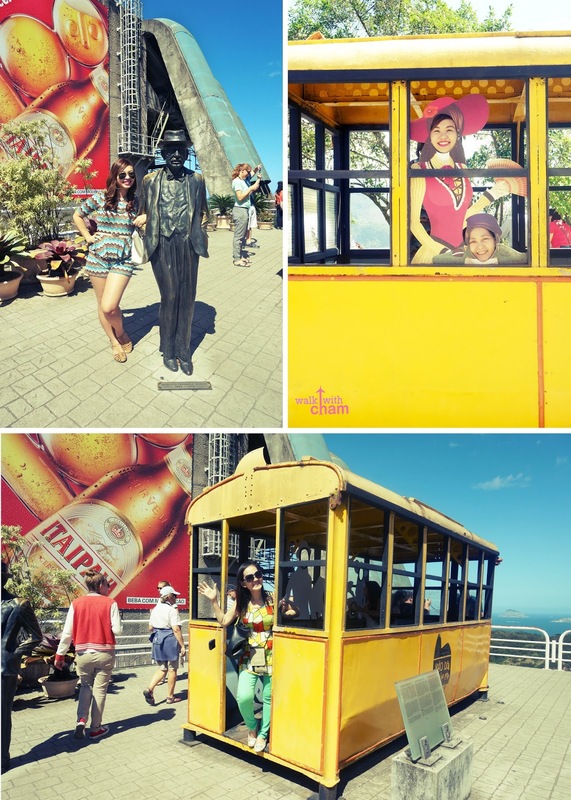 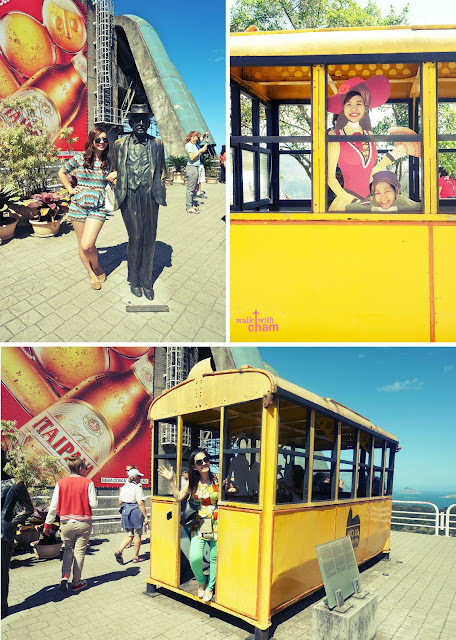 We went there via Gray Line Tours, they arranged the transportation and cable car tickets. 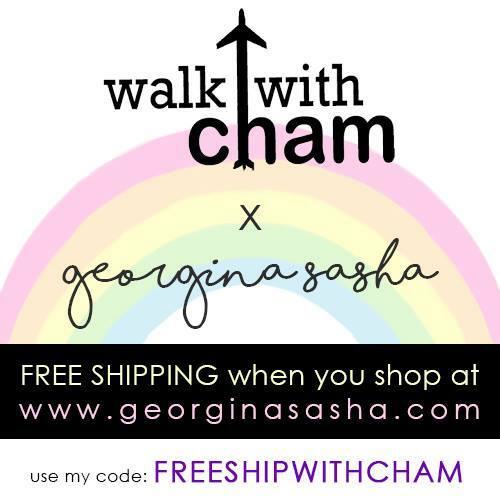 But you can also go there via cab or bus. Take a cab and ask the driver to go to Av Pasteur 520, Praia Vermelha, Urca or take a bus 107, 500, 511 or 512 from Centro, Flamengo and Botafogo. 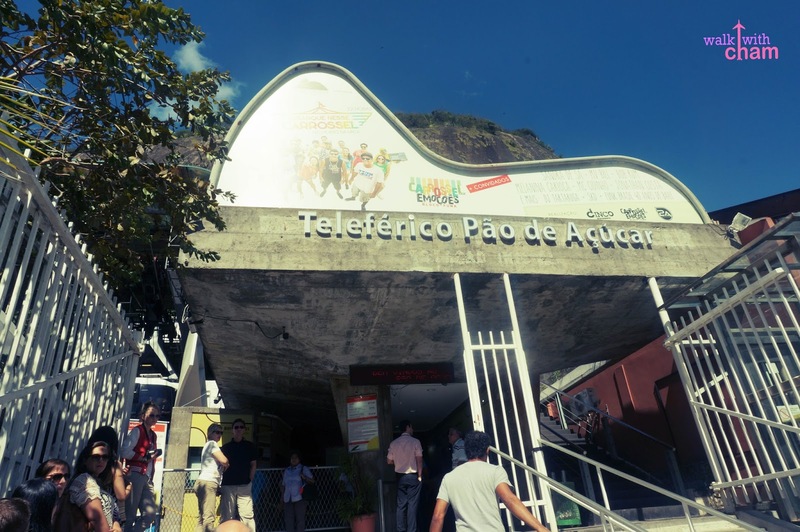 From there get a round trip cable car tickets for R$53 for adults and R$26 for children aged 6-12 years old open from 8:00 am to 9:00 pm. 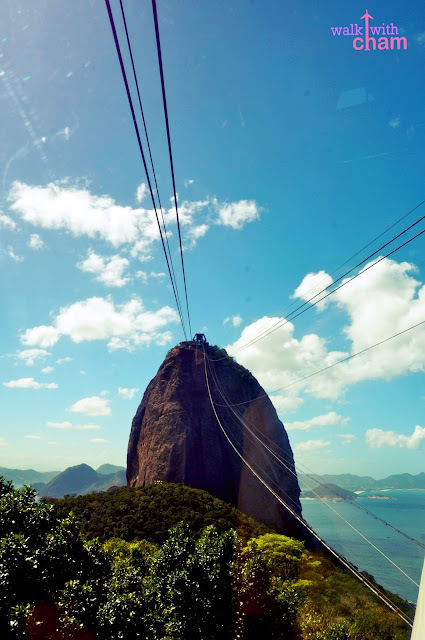 There are two cable car rides to be able to reach the summit. 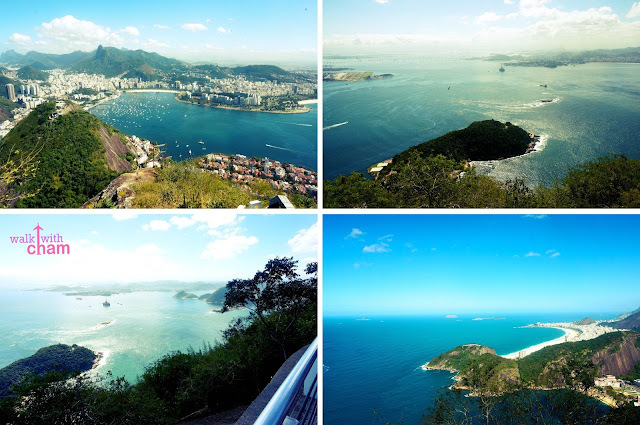 The first leg is a ride from Morro da Urca and the second ascends to the peak. 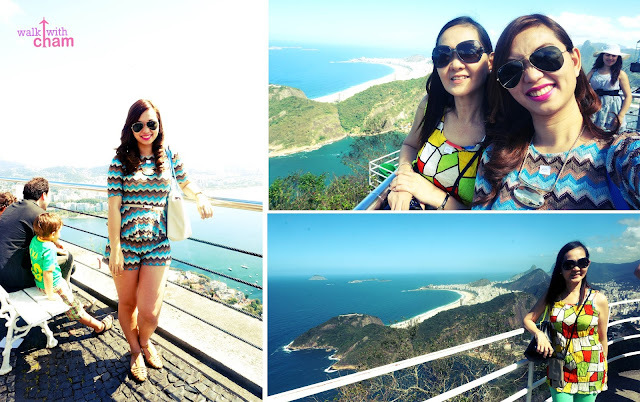 The 396 meters mountain let you see a magnificent view of Rio de Janeiro. 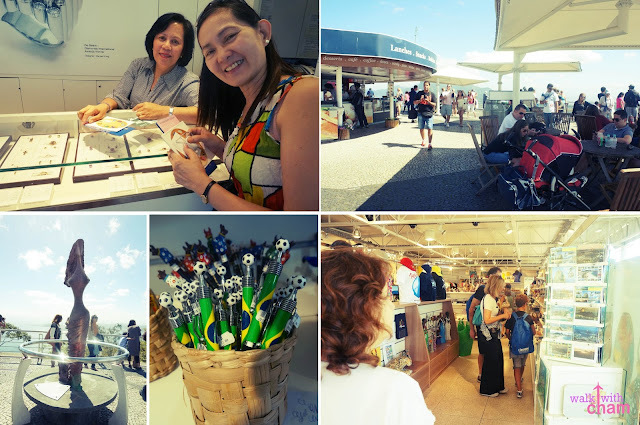 There are also a souvenir shop, fast food restaurant & jewelry store at the peak. 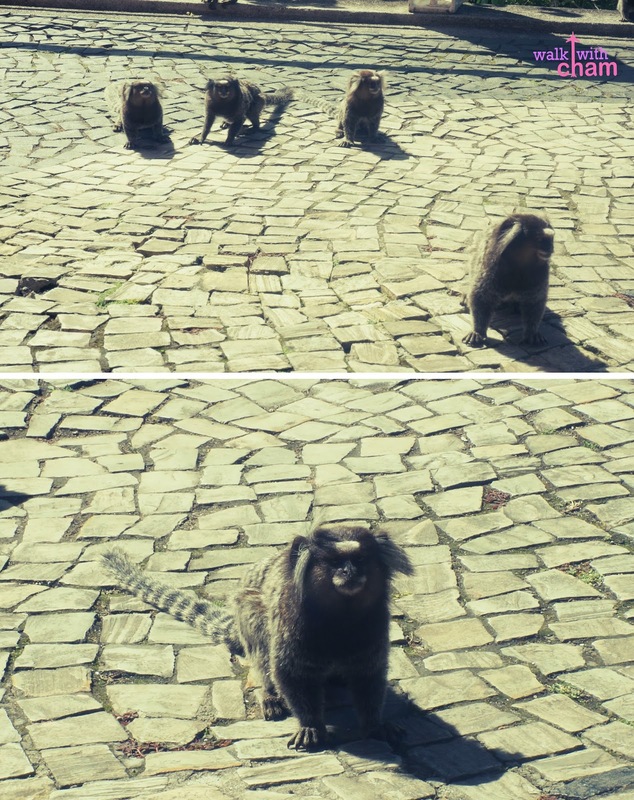 Forest animals can also be seen occasionally. 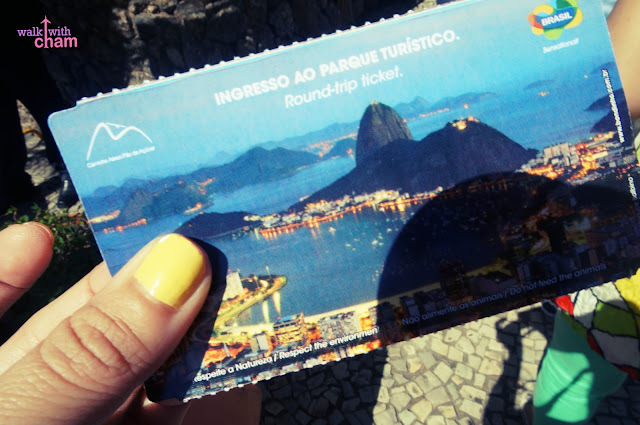 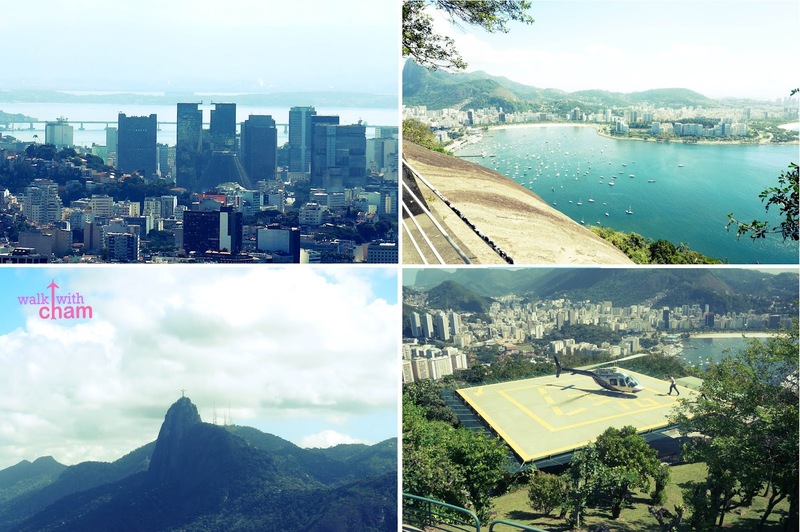 Visiting the Sugarloaf Mountain is something you need to do during the first day in Rio de Janeiro to be able to have an overview of what the city looks like on top view.